You’re looking for a new seat for you fully sikkkk CRX. You’ve considered Recaros. Jamexes. Sparco seats. 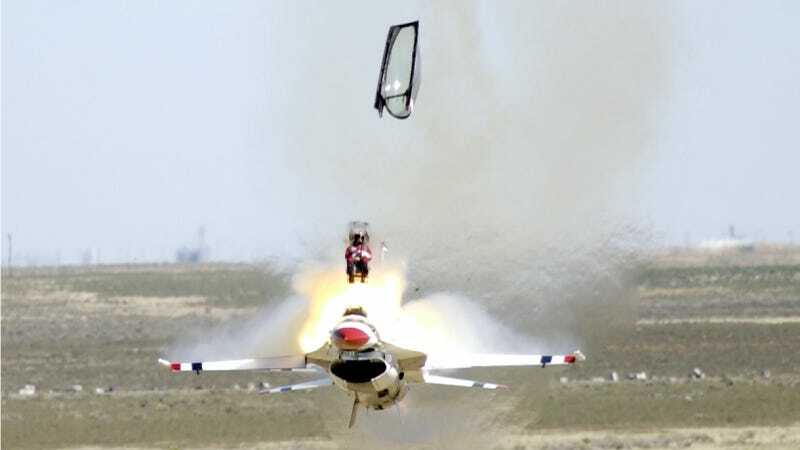 Have you ever considered an ejection seat, though? Because apparently Boeing will sell you one. A real one. Ripped out of a real fighter jet. It’s probably had all its rockets and whatnot taken out, but still, it’s a real ejection seat! I’m sure you can throw the rockets back in while you’re taking off that riveted steel base to make it better fit into your Honda, anyway. Okay okay, so the seat weighs “approximately 495 lb,” which will probably upset your handling balance somewhat, and it costs $19,500, which is almost certainly more than what your CRX is worth (unless it’s got five miles on it and you just got it off of Bring A Trailer). But is $19,500 too high a price to pay for the ultimate in automotive safety? When you see a crash coming your way, just hightail it out of there. If $19,500 is a little too rich for your blood, Boeing will sell you a cheaper one for a mere $12,500. And if you really want to gamble with your life, someone is selling one out of an old Polish jet for only $9,000 on eBay. And that one even has the parachute still attached. There’s weirdly a wealth of wildly overpriced-yet-tastefully-designed furniture made out of old aircraft parts available for sale. Check it out here, if an $8,500 chair made out of an old jet engine is the exact piece that’s been missing from your bedroom. They’ve also got an old galley cart, if you want to spend your days pretending to be a flight attendant doing what I imagine is the single most miserable part of that job.